for additional information to generate the account(s). 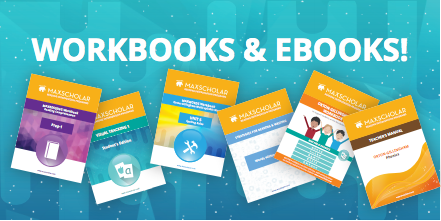 MaxScholar is licensed on an annual subscription basis and can be purchased for individual students who need to improve their reading skills! Your child will get unlimited, password-protected access to the program for a period of 12 months. • Web hosting providing anywhere, anytime access. • A username and password which enables your child to access the program anytime, and on any device. • Unlimited product support via e-mail and phone. Once your purchase is complete, your child will have access to our tutorials which will help him/her navigate the software and start the learning experience! EACH LICENSE IS VALID FOR ONE USER AND IS VALID FOR ONE YEAR. CHOOSE HOW MANY LICENSES YOU WANT TO PURCHASE. Title I Grants: Improving the Academic Achievement of the Disadvantaged provides supplemental programs to enable educationally disadvantaged children, particularly those attending schools in high-poverty areas, to learn reading, math and core academic subjects in order to meet high standards. Title I, Part A funds can be used for school-wide programs. Funds are available for technology programs, supplemental education services, additional instruction in math and professional development. Title II Grants: Preparing, Training and Recruiting High Quality Teachers and Principals designed to assist state and local education agencies, including schools, with improving the quality of teaching and learning. This initiative advocates the alignment of school curricula with state standards and the integration of educational technology into the classroom. Funds are available for test-preparation products, professional development programs in educational technology and core academic subjects and distance learning programs. Title III Grants: Language Instruction For Limited English Proficient And Immigrant Students Provides federal funding for ELL programs. With the added measures of accountability in the No Child Left Behind Act of 2001 and the quicker transitioning of ELLs to mainstream classrooms, instructional materials for ELLs-both basic textbooks and supplementary materials-have become that much more important to raise achievement and to assist teachers in making all students successful. Funds are available for school districts to provide high quality, research-based language instruction programs, which have proven effective in increasing English proficiency and student achievement. Title IV Grants: 21st Century Schools Provides opportunities for academic enrichment, particularly students who attend low-performing schools, to meet state and local student academic achievement standards in core academic subjects. Funds are available for remedial instruction programs, test preparation programs for at-risk students, literacy education and technology education. Individuals with Disabilities Education Act (IDEA) Funds exist for programs, materials, and services that benefit Pre K-12 students identified as having physical, mental, and/or emotional disabilities. The most recent change to IDEA stated that all special education students are still required to take and pass the same state-wide assessments as general education students. Funds are available for test preparation materials and programs, academic intervention programs, software and software licenses. USING RESEARCH-BASED METHODS LIKE ORTON- GILLINGHAM AND LINDAMOOD BELL TO TEACH STUDENTS WITH LEARNING DIFFICULTIES SUCH AS DYSLEXIA USING THE FIVE PILLARS OF READING. *MaxScholar is NOT Lindamood-Bell Learning Processes® nor is it aﬃliated with, certiﬁed, endorsed, licensed, monitored, or sponsored by Lindamood-Bell, Nanci Bell, Phyllis Lindamood, or Pat Lindamood. USANDO MÉTODOS BASADOS EN INVESTIGACIÓN COMO ORTON- GILLINGHAM Y LINDAMOOD BELL PARA ENSEÑAR A ESTUDIANTES CON DIFICULTADES DE APRENDIZAJE COMO LA DISLEXIA USANDO LOS CINCO PILARES DE LA LECTURA. *MaxScholar NO es Lindamood-Bell Learning Processes® ni es afiliado, certificado, visado, autorizado, supervisado, o patrocinados por Lindamood-Bell, Nanci Bell, Phyllis Lindamood, o Pat Lindamood . Sign in and start exploring for free! Use your favorite social media to try our programs which drive Reading Achievement and close the Reading Achievement Gap.